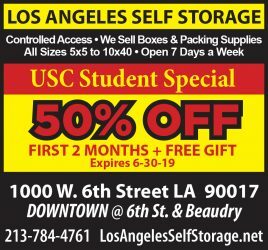 Now that Trojan Grounds has returned to its usual 24-hour operations, it seems USC Hospitality’s attempts to make amends have temporarily mollified the student body. Of course, some students will still complain about the limited options in Everybody’s Kitchen, blanch at the prohibitive prices at the Ronald Tutor Campus Center. 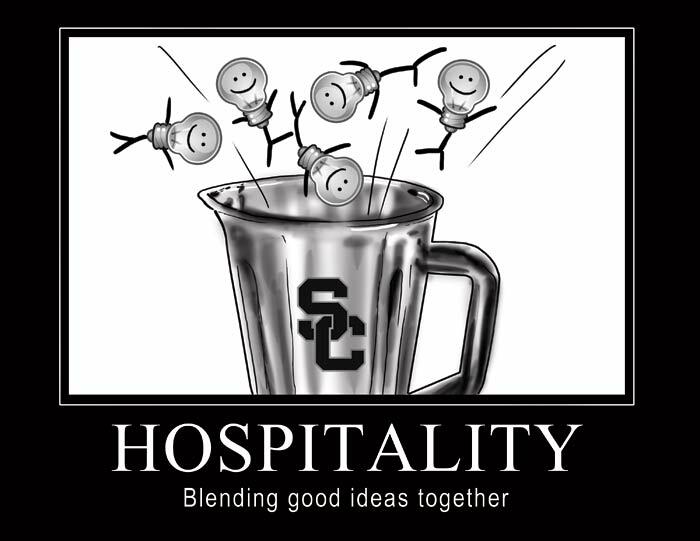 But overall, USC Hospitality has proven quite responsive to student input. Not only will TroGro remain open 24/7 at least until this summer, but after Always Living In View of the Environment, an environmental student group, circulated a petition that solicited more than 4,300 student signatures, USC Hospitality will now serve eggs from cage-free farms beginning this fall. Additionally, the Tutor Center might soon offer an online food ordering system to alleviate the long lines around lunch time. 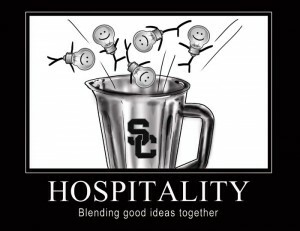 USC Hospitality can continue to improve by acting on student input. Students flooded Hospitality with emails to protest the reduced hours at TroGro, and Hospitality responded favorably within a week. Kris Klinger, director of USC Hospitality, promised to hold discussions with students and administrators to determine whether or not TroGro will continue its 24/7 operations next year. Besides bringing California Pizza Kitchen and Lemonade to campus after gathering student input on what restaurants to include in the Tutor Center. Hospitality also noticeably improved the residence hall dining experience. EVK added a much-appreciated Panini machine and Parkside now sports a space-age-looking coffee maker. Although as a freshman I’ve never gone hungry on a Friday because I had used up all my dining swipes, I still appreciate the convenience of unlimited swipes into either EVK or Parkside as part of the new meal plans, again courtesy of USC Hospitality and based on student input. Still, there are a few relatively simple changes, as well as some more ambitious goals, that can further improve the student dining experience. USC is a health-conscious campus. On-campus restaurants at the Tutor Center and Café 84 could be encouraged to display nutritional labeling, as is already done in the dining halls. Currently, EVK and Parkside display labels above some of the food choices, containing caloric count and other nutritional information. Not everything is labeled, however. At EVK, for example, the bread table, the salad bar and some other dishes only have a label with a name and no further nutritional description. Hospitality could provide nutritional information for menu items next to food, or post nutritional information online at Hospitality’s website for easy access. Hospitality has already shown a willingness to embrace environmentally friendly measures such as purchasing eggs from cage-free farms. Despite the financial burden of local, organically grown produce and humanely raised livestock, there are numerous health benefits to making the switch, and Hospitality could continue its efforts to buy environmentally friendly food. Hospitality has shown this past year it is dedicated to improving students’ dining experience at USC and to taking student input seriously. As students, it is our responsibility to make our voices heard so Hospitality can continue its improvements. 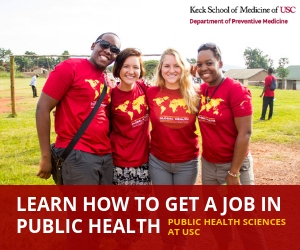 Rebecca Gao is a freshman majoring in global health and biological sciences. Her column, “Trojan Grounds,” runs Mondays. My dining experience would be improved with more organic food, and less effort being put into getting panini machines at EVK, when Popovich makes paninis and is about 5 minutes away. I appreciate the cage-free eggs, but to cause so much commotion about TroGro or the prices at Tudor (are we surprised it’s expensive?) seems like a waste of effort that could go towards *fair trade coffee in the dining halls, organic or fairly-cultivated ingredients, and things that actually have impact to the community. I mean, if you can’t find cheap food on campus, take a walk down Fig, there are a lot of food places.